A lot of people nowadays have heard that green tea benefits the overall health, but not a lot know why exactly. And believe me after I've learned all the health benefits of green tea, I get completely different feeling every time I drink it. I not only enjoy the taste of it but I also get the moral satisfaction knowing that I am doing something right and extremely healthy for my body. I want you to have exactly the same feeling I have, so here are the benefits that you get while sipping delicious cup of tea. 3. Stops the unnatural formation of blood cloth which if not taken care of will cause thrombosis. It takes on added importance if you consider that thrombosis is one of the main causes of strokes and heart attacks. 4. Reduces high blood pressure by repressing angiotensin II which causes constriction of the blood vessels causing high blood pressure. 10. Possess antibacterial and antiviral properties. 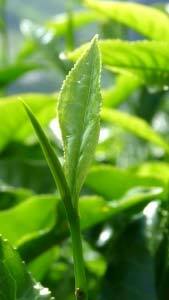 Recent studies show that green tea inhibits the spread of disease, speeds up recovery from cold and flu. It also kills seven strains of food poisoning bacteria including clostridium, botulus and staphylococcus (which makes it a good treatment for diarrhea). 11. Helps your body to maintain healthy fluid balance and relieve fatigue and stress often caused by dehydration. 13. Stimulates metabolism, calorie burning process and is wildly being used as an important part of a healthy diet. I hope that after reading this article you will include a cup of green tea in your daily ratio. After all it is a rare case when something that good for our health can be also that delicious.